So this week went by super fast! We had a nice busy week, full of fun things going on over here! Monday, Tuesday, and Wedneday I was able to have a lot of lessons with people while saying goodbye to less actives, investigators, and members. It went really well and we were able to have a lot of spiritual lessons with people. I was pretty shocked for sure about recieving my transfer call so I had to say bye to a lot of people really fast. It was really nice though and I am thankful for the things that I learned in Cosenza and for what the experiences that I learned there really helped me to gain things that I needed and helped me grow more into who I need to continue to work on becoming. I definitely made a lot of amazing friends over there in Cosenza. So Thursday was the day of transfers and it was a pretty hectic day. We got down to the station and everything with the help of some ward members that gave us a ride to the train station so that we didn’t have to walk. It was really nice and super awesome of them to do that. We had to wait in the train station at Paola for a little bit and then my train came. 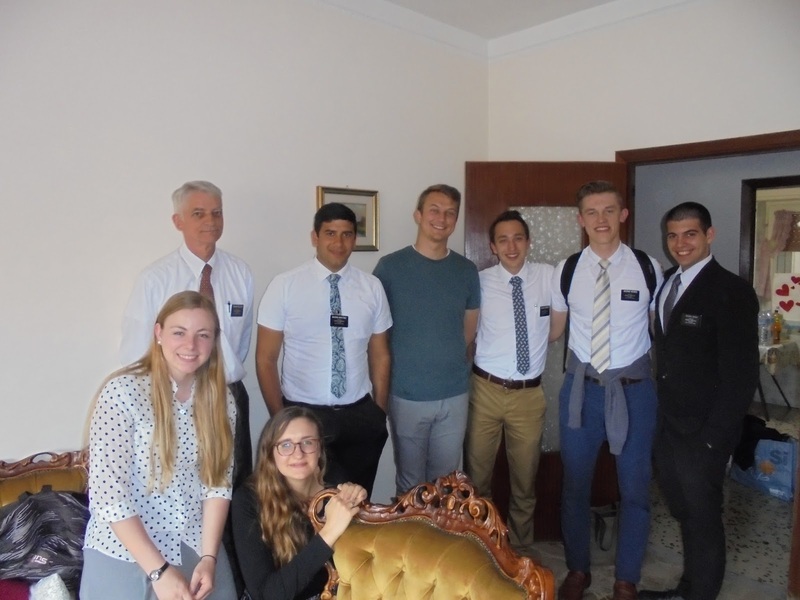 So I knew that my greenie was going to be on the train and I happened to get a picture from my Grandpa [from Sister Waddoups’ blog] of the two new missionaries that had just come in. So I thought they knew I was going to be joining them on the train there. I get on to a cart, but I was supposed to be on cart number 5. Thinking that logically it would make sense that the first one started at the front, I made my way backwards on the train trying to get to number 5. I have three giant overweight bags with me as well. I remember that Presdient Waddoups asked me on my first transfer day if I have ever heard about preaching without purse and script but it seems that lesson has still not settled in for me quite yet. I made my way all the way to where I think 5 should be and I am squeezing past people. Well there comes a point when I can’t go any further and I run into a group of people that tell me I am now at number 2 and happened to actually get on the right one the first time. But I hadn’t seen any missionaries there at all. 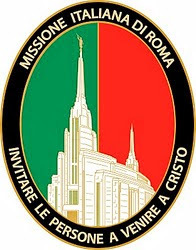 So at the next stop I get off the train and race back up the platform with the help of the Crotone missionaries and the senior couple and manage to get on the train just fine, but still haven’t found anyone. I left my bags with a nice lady in my assigned box on the train and ventured off in search of my greenie. Finally managed to find 2 missionaries on the front of the train that were headed to Palermo, but that meant that the front part of that train would split off once we got down to Messina. So then I finally got the information (after a ton of time) that they were sitting in first class which happend to be the very last cart of the train. So needless to say I was finally able to find them and meet my companion who is Anziano Albello. Anziano Albello is from the Philippines and is a super awesome guy! He is a little quiet, but he is super cool!! He really has so many amazing Christlike qualities that I have been able to learn so much from all ready! 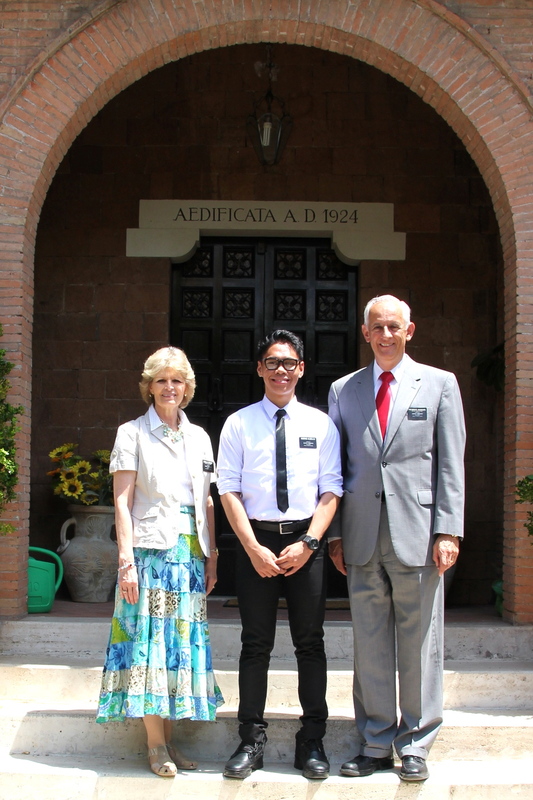 I don’t know why he went to the MTC in Provo, because he lived in Milan for 6 years and then moved back to the Philippines 2 years ago. When he first started talking Italian to me I was super impressed and he told me that he had studied for a year. 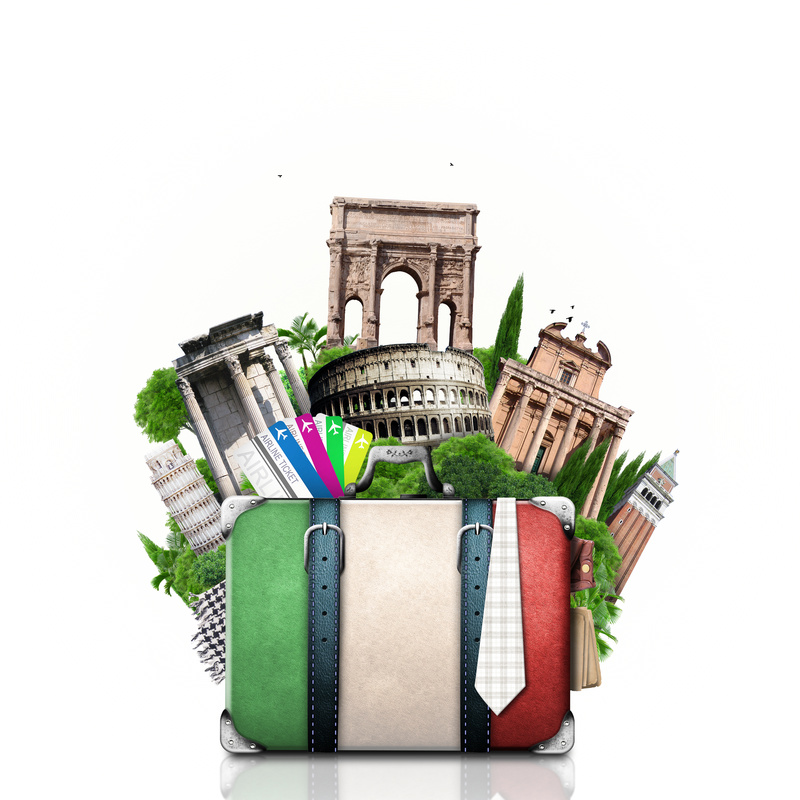 I didn’t find out until we got to Catania (from someone else) that he lived in Italy for 6 years. He is using grammar that I haven’t even been able to scratch the surface of hahaha. That helps out a ton when it comes to missionary work! He is going to do amazing things here with all the skills that he has. I am excited to be with him and get to know him better! He is from a family of 4 and likes movies, music, to travel, and guitar as well! He is going to be an awesome missionary and we have already been able to see some really cool miracles together! So these first days in Catania have been a little overwhelming and such, but it helped that Anzinao Mercado, who was here before us, had to stay an extra day here. So he showed us around the city a little bit and helped us figure some things out. We have gotten lost already as well. We tried to find a member’s house and the name of the neighborhood we were supposed to go to was called “Ippo Campo di Mare” and we went to “Campo di Mare,” which is in the same zone. We knocked on the house that we though should have been the member’s house. Well then we called them back again and they explained to us we were in the wrong neighborhood. I am still confused at this point, so we walk down further to start at the end of road to find these members. Then some guy comes rolling up on a four wheeler, telling us to go back where we came from because the lady in the house complained that we knocked on her door. We explained the situation and he wasn’t mad, thank goodness. Finally, we found the members, though, and they were really awesome to meet with! We also met a super nice lady on the bus ride home, which showed us that it all happened for a reason. It was neat to have a review on that lesson again. We met a lot of members yesterday in church. We had a broadcast that was transmitted to all the stakes of Western Europe. We were excited to meet a lot of people and look forward to getting to meet and know more of them better as well. It feels weird to be back in a ward again, but I am excited to get to know all the great people that we have down here. I was also able to see a former member that I was able to get to know in the ward up in Rome 1. He was down here visiting his brother. It was super nice to see him and catch up with him, as well as get to know how everyone is doing up in Rome 1. We also had a nice miracle lesson yesterday with a former investigator that we went and visited with Anziano Pope who is down here with his family. Hopefully all will go well with them and we will be able to help them in any way that we can! We are part of the Catania district, which us with the zone leaders and the sisters here in the city. The zone leaders are Anziano Goode, who has been here for 3 transfers now, and going into his 4th, and Anziano Berger. Anziano Goode actually triained Anziano LaPray in Tràpani before I showed up there. Anziano Berger just did a “one and done” in Battipaglia, and is again back down here in Sicily. The sisters in the district are Sorella McKenzie and Sorella Bellomo. We are also living in 4-man house, which is different from anything we’ve had before. We have had the opportunity to be able to run as well too! I have had a great opportunity these past few days to really reflect on the experiences that I have had on my mission and the lessons I have learned so far. It was really awesome a seeing and feeling the energy that Anziano Albello has brought into the work down here. It has helped me think a lot about the simplicity of missionary work and the great blessing it is to participate in it and really work hard and give it all to the Lord. I am really thankful for all that He has given me and I really hope to be able to give all I can to Him and really do things the way He needs us to do them here. I am thankful for the people that He has allowed me to meet and to know. 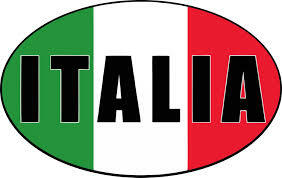 I really love the Italian culture and the people with all the quirkiness this country has. It is so nice to be here and be with so many nice and wonderful people. I want that love to always keep growing too. I am thankful for the miracles that we can experience each and every day as we continue to do His will in all that we do. It has been such a joyful and wonderful experience to be here and I look forward to all the more that I will be able to do. I know that this gospel is true and the message that we can bring forth to others is one that truly can bring salvation to others. I love you all and hope that you have a wonderful week and I will talk to you all next week! Part of the expanded district conference in Crotone before I left Cosenza (courtesy of the Bullocks’ blog). Anziano Bullock was one of the senior missionaries who helped me find my “greenie” on the train at the stop in Crotone.